Distributor of a wide range of products which include hydraulic seamless tubes. 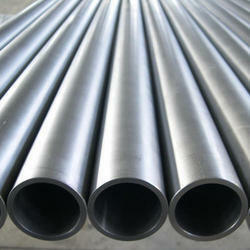 We are one of the prominent organizations engaged in offering a wide range of Hydraulic Seamless Tubes. These tubes are manufactured as per the international standards and norms using high-grade raw material at vendor's base. Moreover, the offered tubes are tested on various well-defined parameters so as to ensure their strong construction and durability. Looking for Hydraulic Seamless Tubes ?